Have you watched the LEGO Movie yet? If you haven’t, I would strongly recommend you to head to the nearest cinema and check it out. Full of laughter, the $11.99 LEGO Batman Key Light will certainly bring back fond memories of Batman and his girlfriend, Lucy. The thing is, Batman does not even know his girlfriend’s real name in the LEGO Movie, other than her nickname. 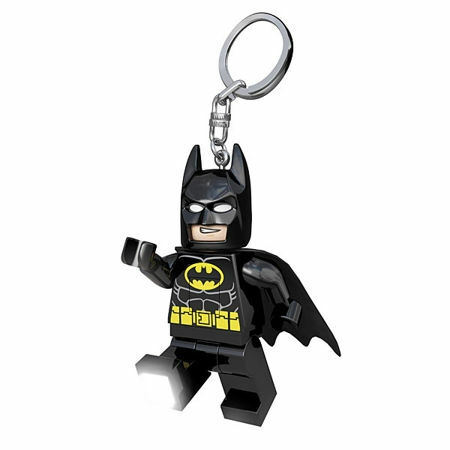 Boasting of his snarky and deep voice, this is one cute LEGO minifig keychain that comes with a built-in flashlight. Each foot is poseable by itself, where they will also come with a single super-bright LED each. Good thing that each purchase would already arrive with a battery in tow (which is replaceable, of course), to help you get started right out of the box. After all, Batman always saves the day. He is the world’s greatest detective, is he not? Hence, a little bit of darkness is not going to scare him away.